As it was commented on the crash, if Chris could suffer a crash like that, being a winner of Tour de France, it can happen to others as well. The takeaway from this incident is that one needs to be careful, especially while riding on the open roads. On Tuesday this week Froome posted that a car ran him over when he was training near his home. Being in Monaco, he stated that he was rammed on the side by an impatient driver. His team riders were much concerned and Paolo Tiralongo stated that, if this could happen to a champion rider, it could happen to anyone. This is not related to the place or city where you live. Even if you are a celebrity rider, one needs to be careful while cycling on open roads. There was also a message given out that drivers need to be careful of cyclists on the road and respect laws of traffic. There have been some similar incidents recently, some more fatal ones even. For instance, Michele Scarponi, team mate of Tiralongo of Astana, was killed in a collision while he was training. The collision was with a driver who was reported to have been drugged and drunk. The collision was led to his death. There had also been a case of a collision with two amateur cyclists in Spain, where both died in the crash. Froome in his case, however, escaped with minor injuries. However, his bike wheels were bent as well as the top tube in disrepair. 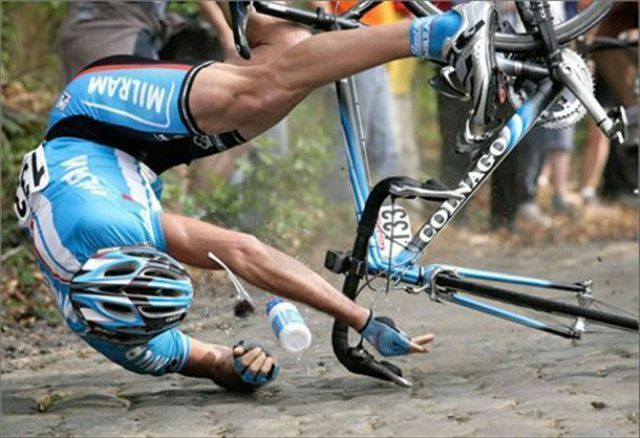 Being a three times winner of Tour de France, he stated that the French police were very helpful and that he was glad that he escaped the accident unhurt.